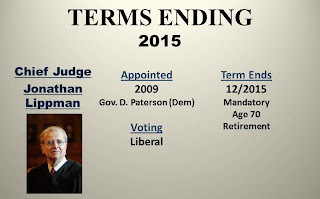 Beginning this year, there will be a flurry of retirements and expiring terms at the Court of Appeals. 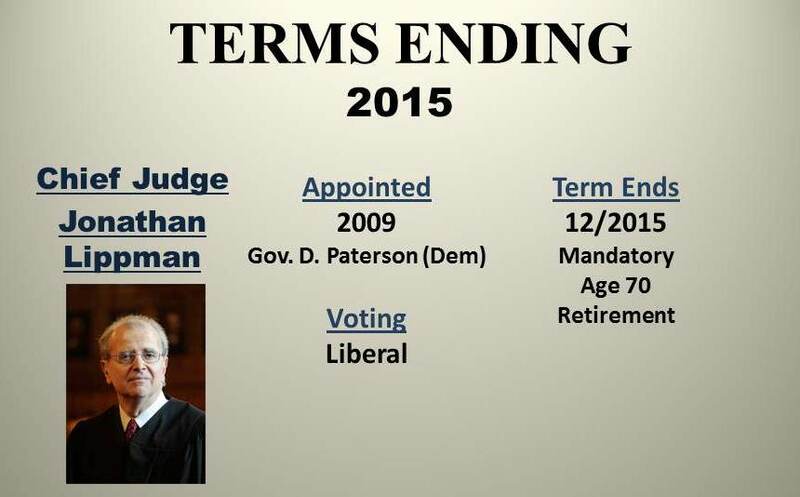 By January 2017, every current member of the Court of Appeals will face retirement. Either because of age or because their terms--14 years--have expired. 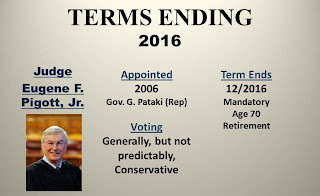 Of course, those Judges who have not yet reached the turn-into-a-pumpkin age of 70 when their terms expire may be reappointed by the Governor. And that gets us to the other point. The gubernatorial appointment power. 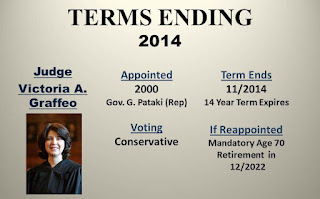 Assuming Governor Andrew Cuomo wins reelection in 2014--a seemingly sure bet at this time--he will have the opportunity to remake the entire Court of Appeals. Yes. 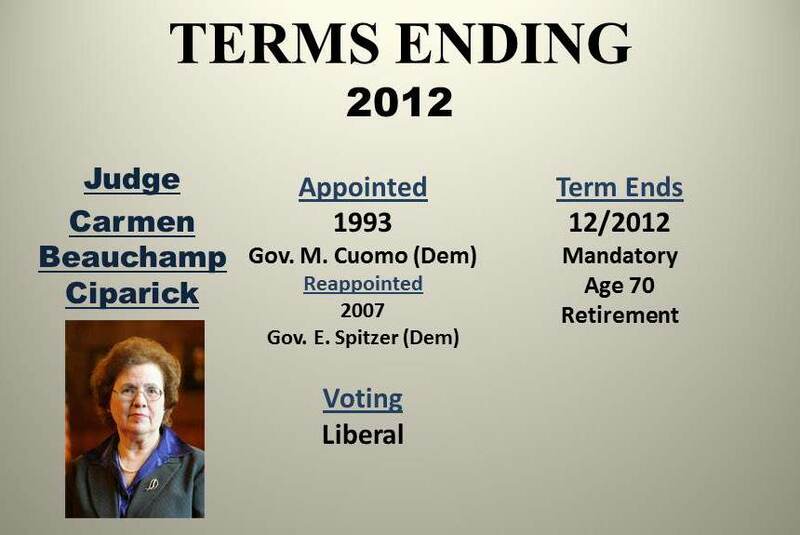 Each one of the 7 seats on New York's high court will become vacant by the mid-point of Cuomo's presumed 2nd term. 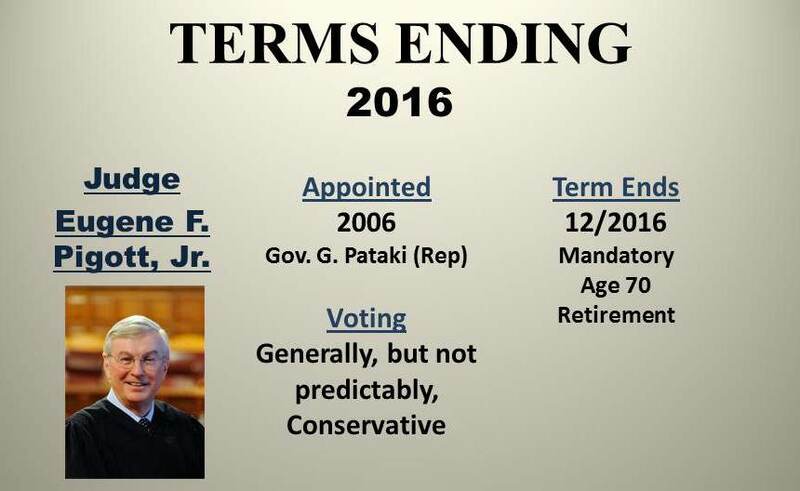 He will get to make new appointments to fill the vacancies created by mandatory age retirements (5). 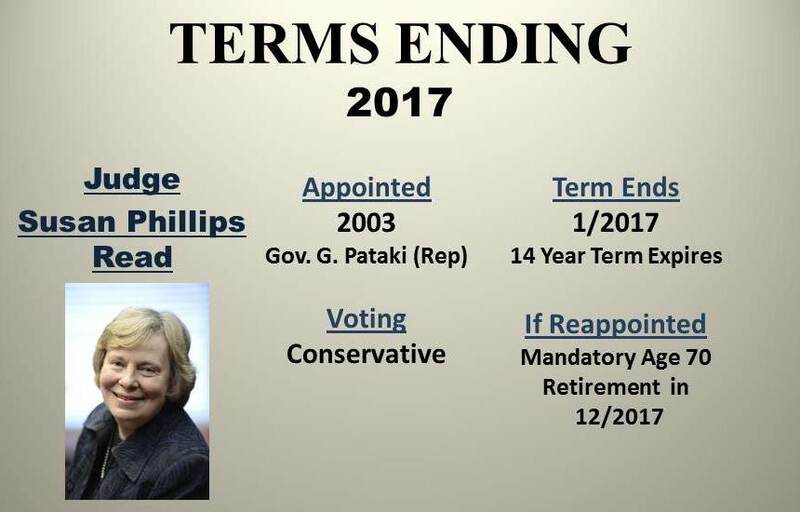 And he will get to either reappoint the Judges whose terms are expiring or make new appointments to fill their seats (2). 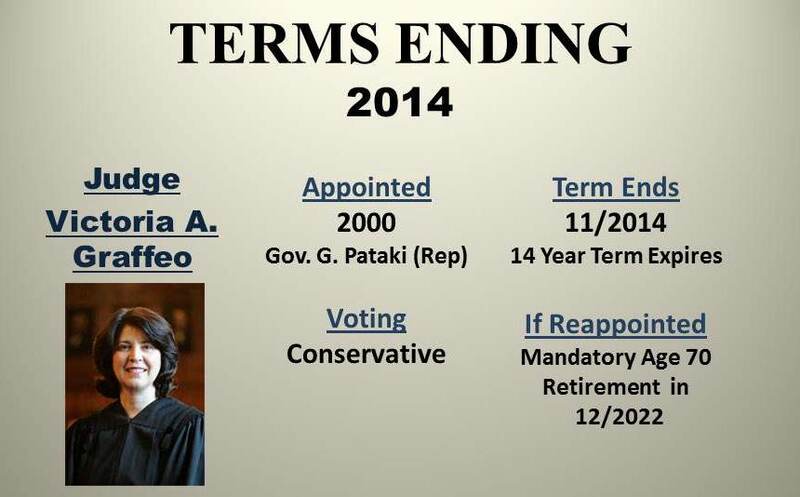 So--again presuming he's reelected--Governor Andrew Cuomo will get to appoint every member of the Court of Appeals. 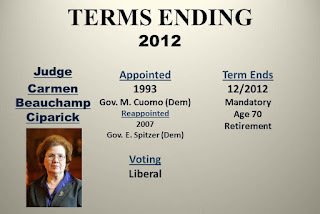 Just like Governor Mario Cuomo was able to do. Digest that for a while. To be sure, the Supreme Court gets more attention. That's to be expected. But, for New Yorkers, as well as everyone else who lives or works or visits here, the New York Court of Appeals is, in many ways, much more important. 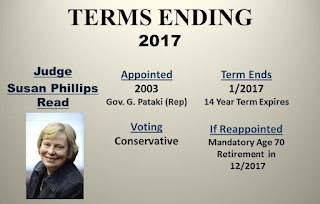 In the meantime, here's a pictorial of all current members of the Court of Appeals, including the dates their respective terms end, as well as some other info to consider when considering the ramifications of an all-Andrew Cuomo Court!